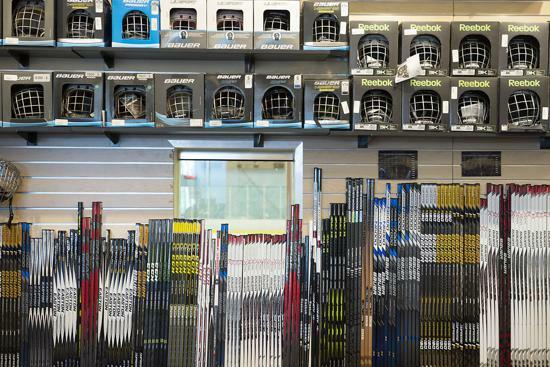 For all your hockey needs, you can find everything you need to gear up for the ice at Coyotes Ice Sports. Our knowledgeable staff can accommodate every level of play starting with the Learn to Skate Pre-Hockey player to the men’s league veteran. Let us assist you in selecting the equipment that best fits your level of participation. 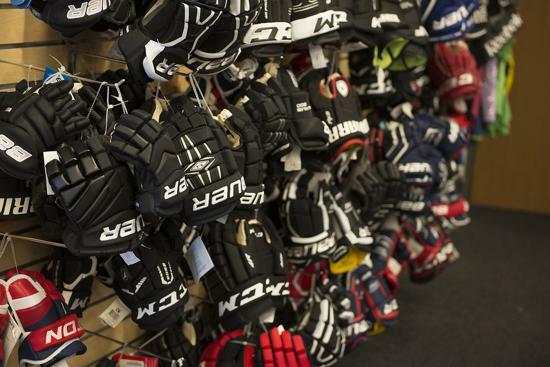 We carry equipment from leading manufacturers such as CCM, Bauer, True Hockey, Eagle and more. Specialty items including new and used Arizona Coyotes Pro Stock sticks, pants, and gloves are available at select times during the season. For all your figure skating needs, Coyotes Ice Sports offers a wide selection of boots and blades from Jackson, Risport, Edea, John Wilson, MK, and Paramount. Our store also features a great selection of on-ice apparel including dress, skirts, tights and polar fleece items from top skating brands including Chloe Noel, Jerrys and Mondor. Shop the wide selection of novelty items including T-shirts, sweatshirts, bags other accessories such as blade guards, soakers, Bunga pads, laces and much more! The Coyotes Ice team features two dedicated Figure Skate Technicians on staff to assist you through the process. Whether you are taking your first skating lesson, or a high end skater competing internationally, we are equipped to get you ready for the ice! 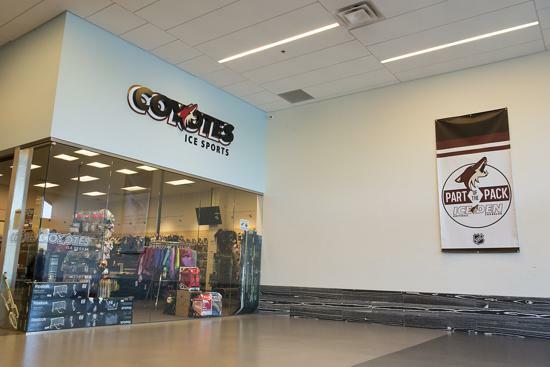 With two convenient locations, the Coyotes Ice Sports team is ready to assist you today! Store hours are subject to change based on the facility and ice schedules. Coyotes Ice Sports is your home for skate repair needs and services including hockey and figure skate sharpening. Let our team assist you with specialty services including skate fitting, boot molding, profiling and custom radius, rivet replacement, blade mounting and complete blade changes on both hockey and figure skates. The Sparx Sharpener has been tested by thousands including youth, collegiate, Olympian, and NHL level players. Some of the most elite and particular skaters in the world have tried Sparx and have testified to its accuracy and precision. Coyotes Ice Sports can dress you off the ice too! 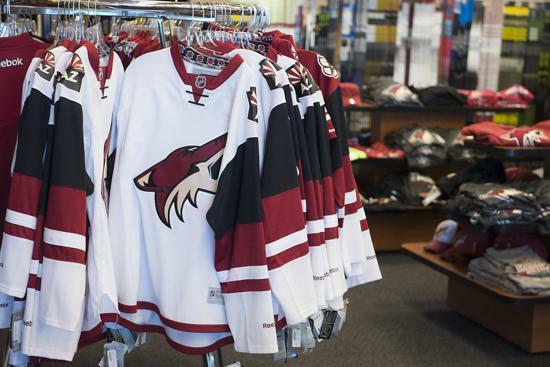 As your home for officially licensed Arizona Coyotes and NHL merchandise, we stock jerseys, hats, T-shirts, sweatshirts and novelty items. We also offer a wide selection of hats, tees, sweatshirts, and jackets from your favorite hockey themed manufacturers like Gongshow, Violent Gentleman, and Under Armour.